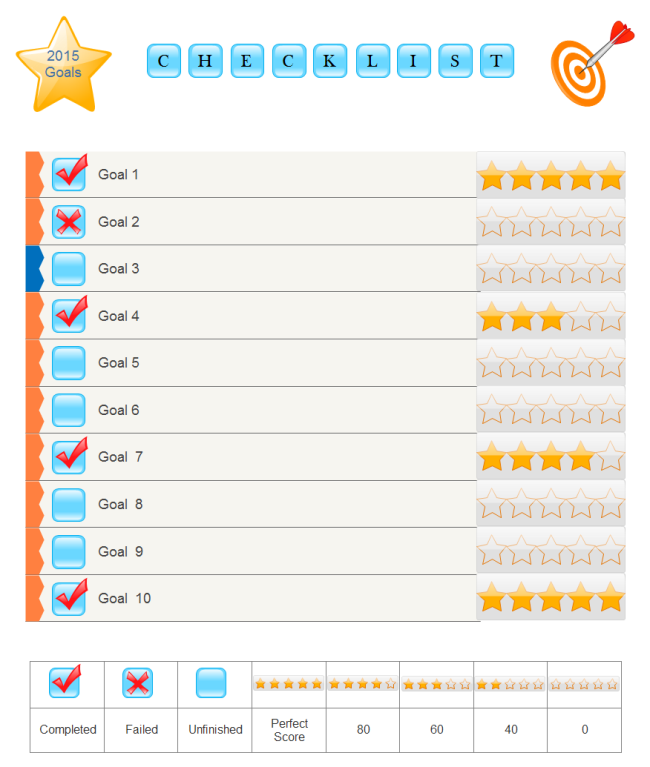 Description: Use this editable checklist to check if you have achieved your goals for 2015. When the next new year comes, use it to set new year goals. The star shapes help you evaluate your performance.